What’s one of the toughest skills to teach? Writing advanced themes! 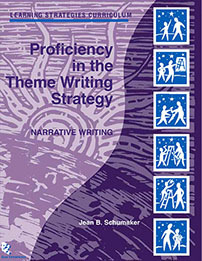 State and national writing standards not only require students to write themes consisting of several paragraphs, but they require themes in several genres. 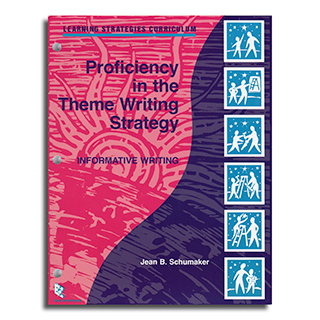 The latest additions to the Learning Strategies Curriculum can be used to teach students to write short and long informative research papers and persuasive & argumentative papers. https://www.edgeenterprisesinc.com/wp-content/uploads/schumaker017-web.jpg 320 320 l7lym http://edge.d-railer.com/wp-content/uploads/edge_enterprises_inc4.png l7lym2016-02-23 18:45:512017-05-22 13:07:06What's New?